This Friday, I wanted to dedicate gratitude Friday to seeing “the oldest thing I’ve ever seen”. We stopped in Dordogne Valley of France on the way home from Bordeaux. 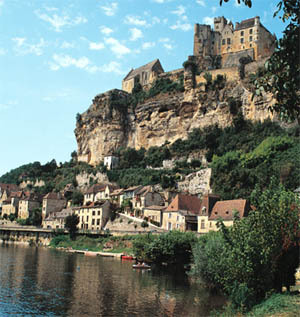 Dordogne is known for being a very beautiful area of France, with lovely buildings banking the Dordogne river. 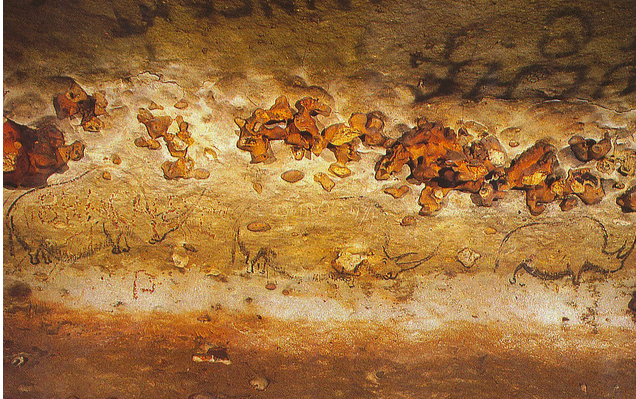 The Dordogne is also known for being the home of many one-of-a-kind prehistoric caves.We decided to visit Rouffignac Cave, which included drawings that were over 15,000 years old. We arrived to the site at 11:50. They closed for lunch from noon until 2pm. It is France, after all. The fellow warned me I might want to come back early to get in line, however. There was talk that maybe we should hit another cave instead. However, we researched and found that most other caves either required advance reservations or were also closed at lunch. We were so remote that it would take awhile to get to another location. After a sandwich pit stop, we came back at 1pm. There were already 30 people there. At 1:30pm, a line had started to queue which we quickly jumped into. There were at least 100 people in line when the place re-opened at 2pm. We luckily got into the first tour. We boarded a mini train and started our journey. 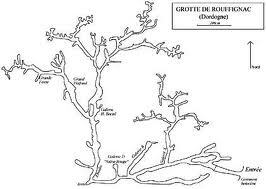 The cave continues for over 10km, but our journey kept us at the first kilometer, where most of the drawings were. Nowadays, you have to go on train and no photography is allowed. This is because they discovered visitors were having a bad affect on the preservation of the artwork located in the cave. One of the first things we saw were mammoth etchings. 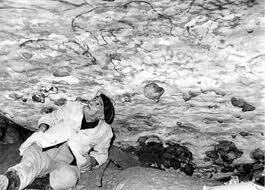 They were made with a sharp object, and carved into the cave wall just below the ceiling and rock nodules covering the cave ceiling. Our train continued and then we were able to see the three rhino frieze. It was breathtaking. Following was a 10 mammoth freeze, where 5 mammoths were standing off vs. another 5 mammoths. 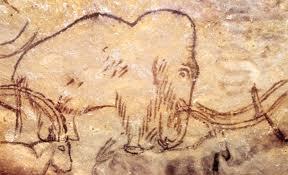 Most of the artwork in nearby caves doesn’t include mammoths. This is why Rouffignac is particularly special due to the inclusion of this long-instinct species. Lastly, they took us into the great room, where there were dozens of images overlapping, mammoths, horses, rhinos. 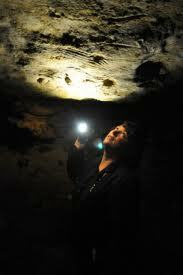 The room was shallow, but they hollowed the floor to allow for tourists to stand underneath. 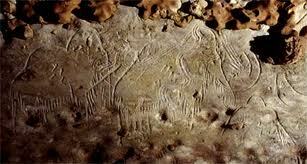 The guide pointed out that cave drawings weren’t discovered until the late 1800’s. And details on mammoths weren’t fully understood until the 1950’s when excavations found the remains in Siberia, thus helping develop the scientific understanding. These drawings had details on the animals someone couldn’t possibly know who wasn’t living at the time. So, they were able to prove and data the history of these magnificent drawings. I still am in awe that I was able to see that in my lifetime. What a cool experience. This area isn’t that accessible, so it truly is because of our living arrangement in relatively nearby Geneva that we were able to get there. Also, a big thanks to Schwingen in Switzerland for driving us. It was truly magnificent, and I am thankful to have seen it. This entry was posted in Art & Painting, Tours, Museums & Exhibits, Travel: Europe, UNESCO sites. Bookmark the permalink.